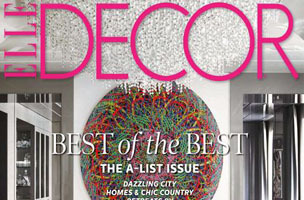 Elle Décor is a magazine that prides itself on a dedication to class and sophistication in the style and design world. With online competitors such as Etsy and Pinterest creating new hubs for do-it-yourselfers to compile their haphazard and crazy amalgamation of products, Elle Décor retains its sense of refinement for its content and its audience. While the magazine welcomes freelance writers, the style and tone of its pieces limit the pool of freelance work to just about 30-40 percent of the content. “We’re looking for strong reporters and lively writers. Not one or the other, but somebody who has both,” said Lowry. For more on what to pitch and how to do so, read How To Pitch: Elle Décor.